The numbers are staggering. On any given night, about 300 people are living on the street in Oklahoma City. Sadly, a number of these individuals are considered chronically homeless. They’ve lived a difficult life on the street, in some cases more than a decade. Many struggle with mental illness or addiction, and some are veterans affected by post-traumatic stress disorder. The Homeless Alliance is a nonprofit in Oklahoma City working to end long-term homelessness. The organization’s passionate executive director, Dan Straughan, said he is confident the organization’s new housing center represents a huge step in the right direction. And, he says he knows the new center is already saving lives. 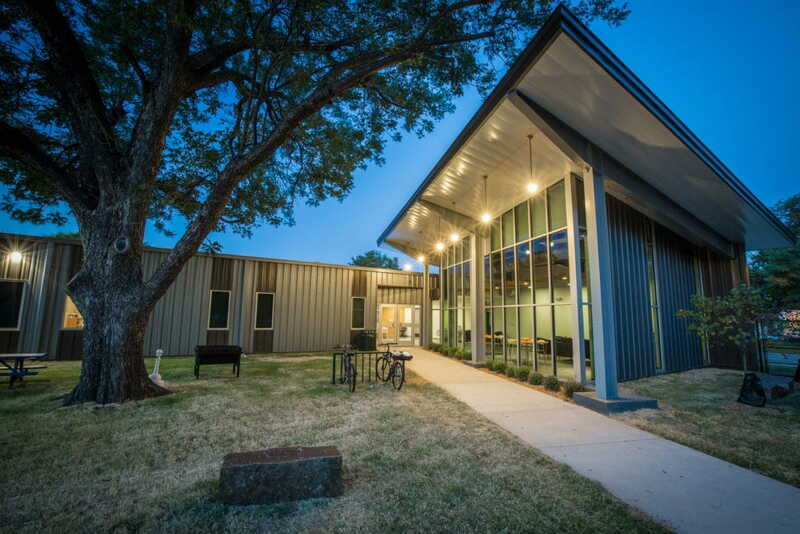 When The Homeless Alliance began the search for the right architecture and engineering firm to design affordable housing on its WestTown campus near downtown Oklahoma City, they were looking for a team that understood the issue and wanted to join the push to eradicate homelessness in Oklahoma City. The firm had to have an inherent respect for the homeless, and a desire to build an uplifting center where residents would have easy access to counseling, health care, meals and many other resources, Straughan noted. In what Straughan describes as a two-way education process, the Homeless Alliance outlined the unique elements a housing center for the recently homeless should include. 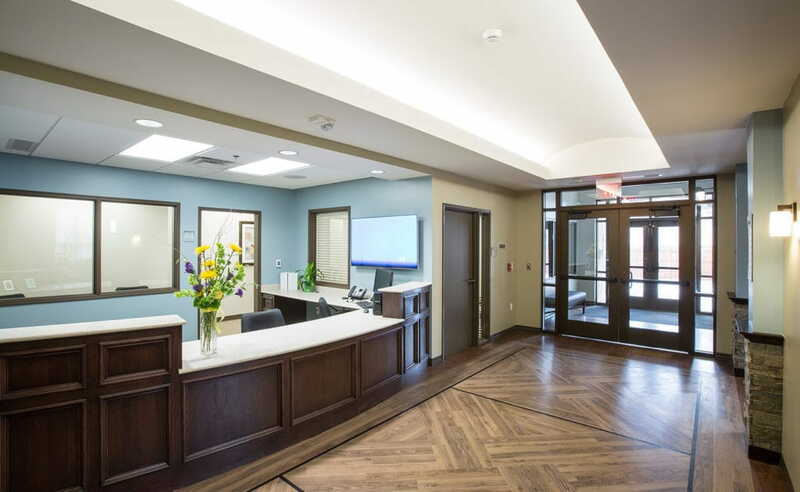 FSB responded with a practical and bright design that resembles a college dorm, with 20 single occupancy 250-square-foot rooms and a large community living area featuring floor-to-ceiling windows and a soaring roof to maximize natural light and inspire interaction. The housing center, open since September, incorporates geothermal energy to cut long-term energy costs, and is finished with durable fixtures that are inexpensive to replace. For FSB, designing buildings for nonprofits brings a sense of professional and personal fulfillment, particularly when architects can see their work as contributing to saving lives, said John Osborne, an FSB architect who served as the director of design for the YWCA’s Thelma Gaylord Emergency Shelter for Women and children experiencing domestic abuse. Prior to September 2015, when the new shelter opened, the YWCA was using a converted motel that was too small, lacked adequate security and had not been updated since the late 80s. YWCA CEO Jan Peery, said Oklahoma currently ranks sixth in the nation for women killed by men and that, in domestic violence situations, shelters are the closest thing a community has to homicide prevention. The Thelma Gaylord emergency shelter is the only certified women’s shelter in the county and serves about one fourth of the state’s total population. In the months since the shelter has opened its doors, Peery said she’s already seen the facility playing a role in the recovery process for clients. A playground in the central courtyard provides a safe, protected space for children. Their mothers can receive advocacy and case management while maintaining a direct line of sight through a window into the children’s activity area. The emergency shelter is all at once strong fortress and a restorative temporary home. “For me, working on this project brought tremendous personal fulfilment knowing I used my skills as an architect to provide a protective, respectful space for women and their children to find safety and support,” Osborne said. For more information about the Homeless Alliance’s housing center and other resources visit homelessalliance.org. For more information about the Oklahoma City YWCA’s emergency shelter and its other services visit ywcaokc.org. Interested in learning more, contact Laure Majors at busdev@fsb-ae.com or call her direct at 405.840.2931.